2. Annelise Michelson's carnivore ring. Rawr. 7. Delfina Delettrez's single eyeball earring. I see you. 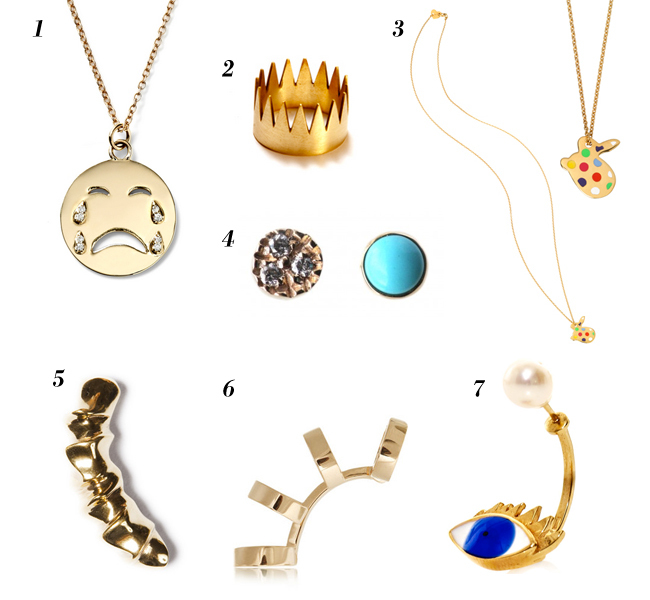 i loveee all these pieces!! especially the sad face, the eye and the crown! so awesome! see you soon, friend! can't wait. That emoji necklace is the bomb.com. Bagaimana Mengobati Kanker Payudara Secara Alami?